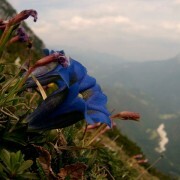 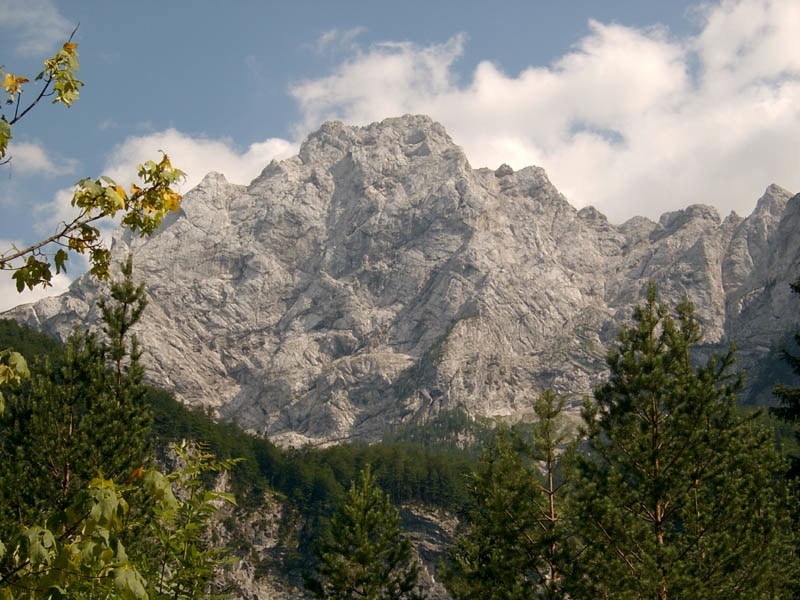 The Savinja Alps are the south eastern outpost of the Alpine range that stretches across central Europe. 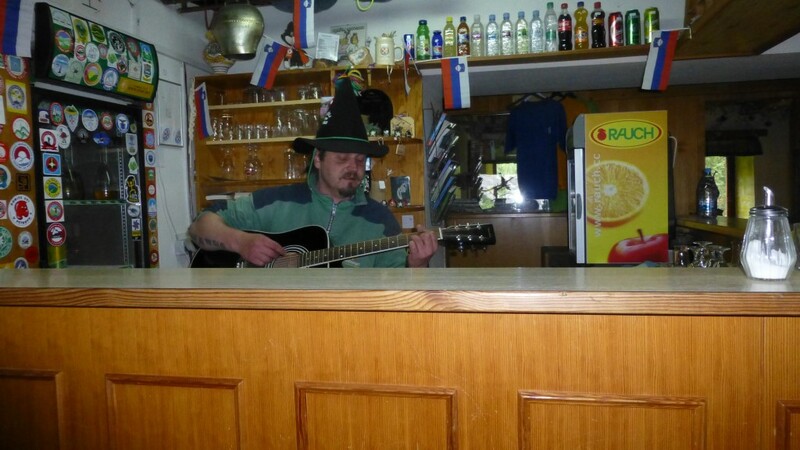 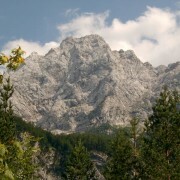 It’s in this region that the beautiful Savinja River rises, right in the heart of these magnificent mountains. 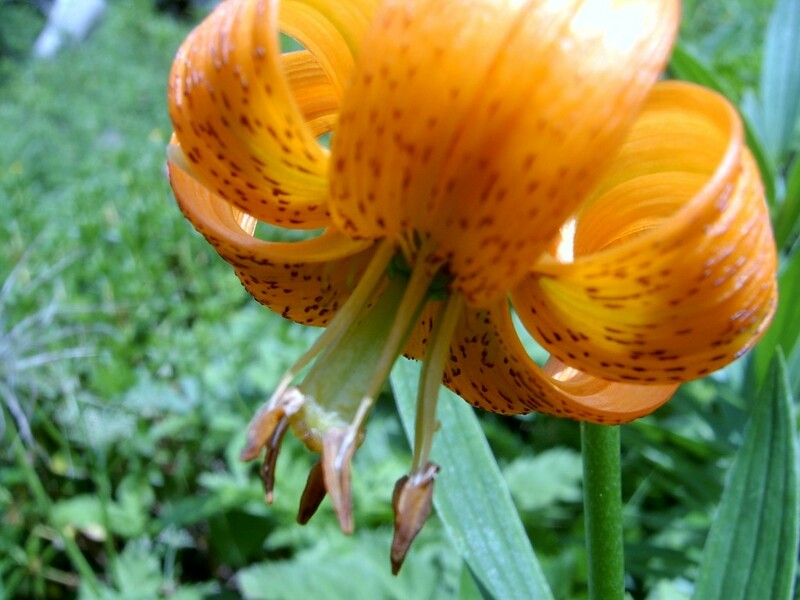 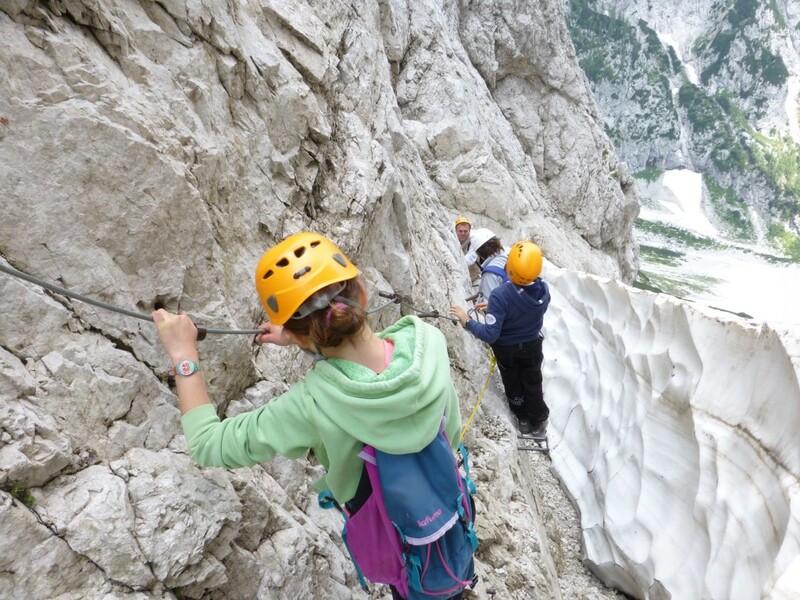 Our adventure is based in the Logarska Dolina Valley, with its creeks and rivers, hidden gorges, snow-capped mountains, alpine plateaus and deep valleys. 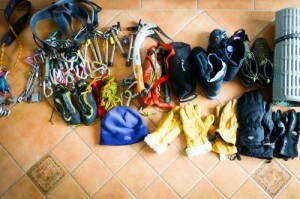 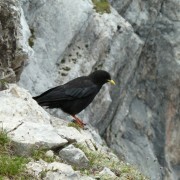 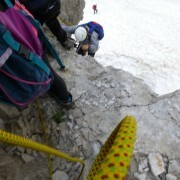 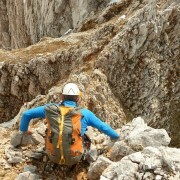 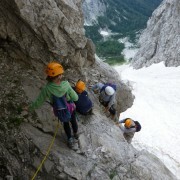 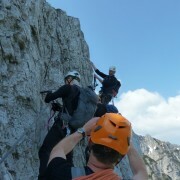 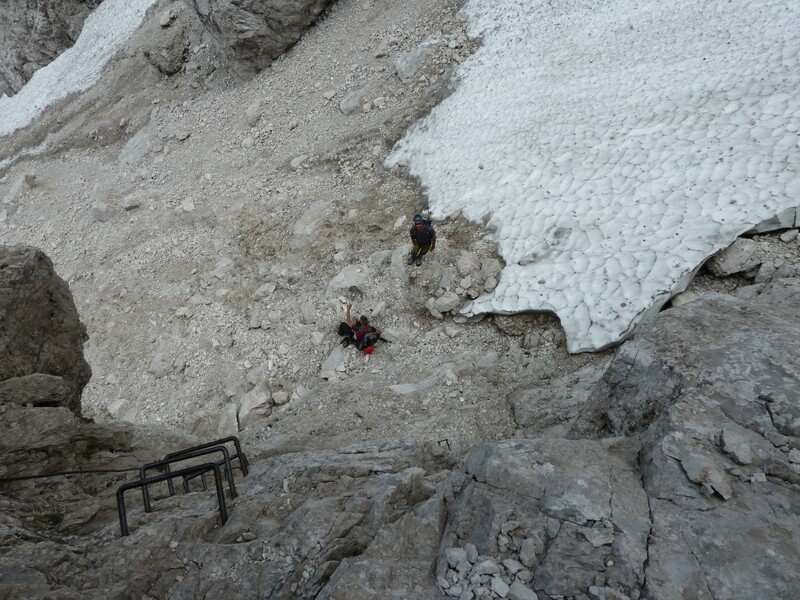 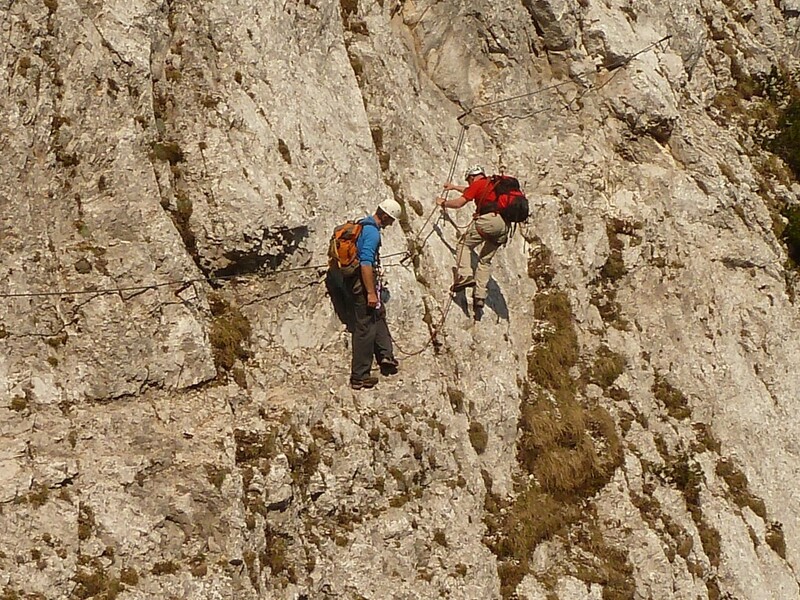 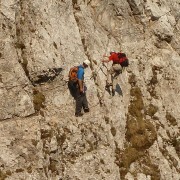 It includes ascents of 2000 metre peaks by via ferrata routes. 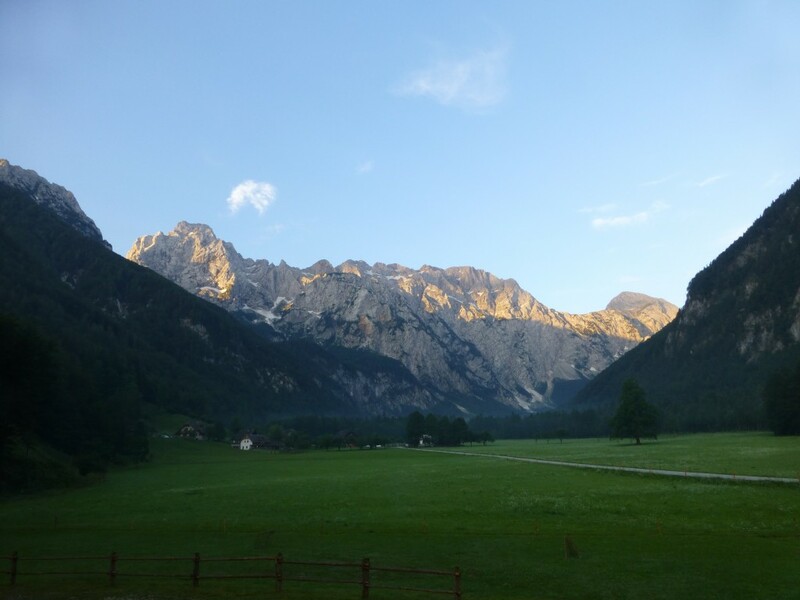 The valley of Logarska dolina extends almost to the Austrian border to the north of Slovenia and is located in the south eastern part of the Alps, an area known as the Savinja Alps. 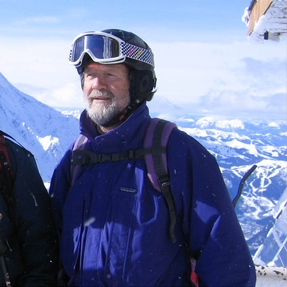 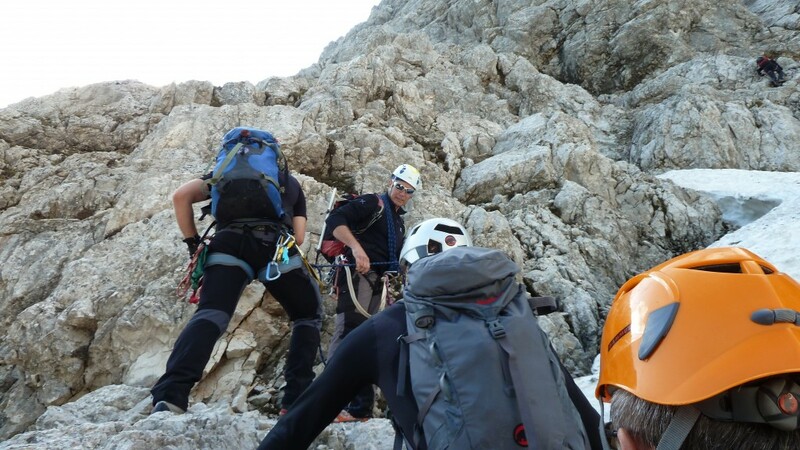 This adventure is very diverse and is intended for seasoned adventurers with previous mountain climbing experience. 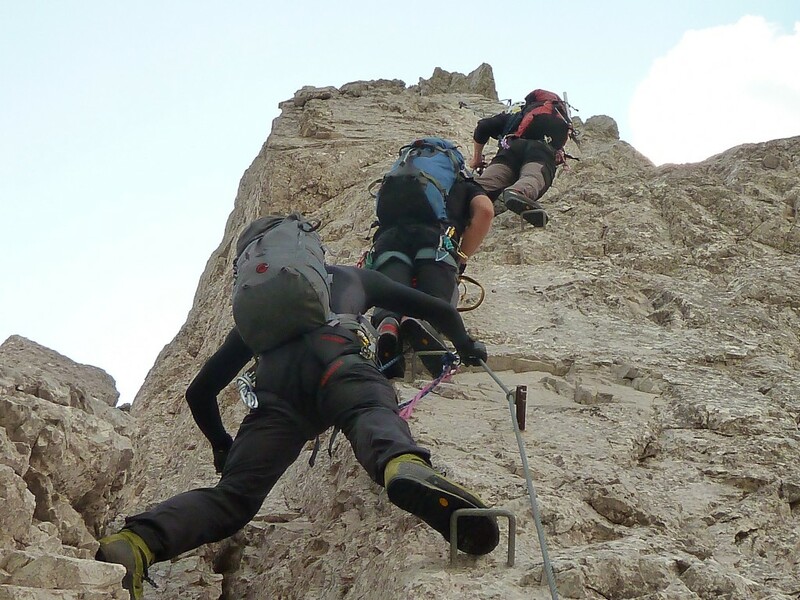 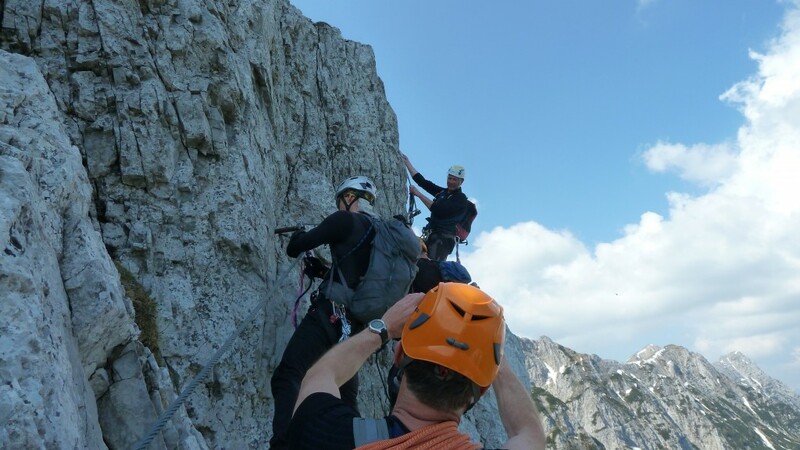 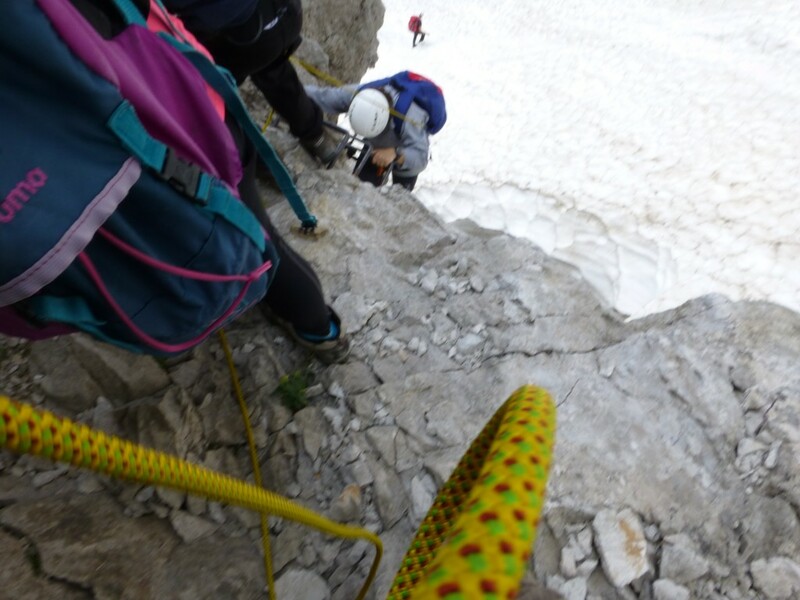 However, participants with less experience will enjoy a memorable challenge in which they’ll learn the basics of rock climbing and explore a less-known area of the European Alps. 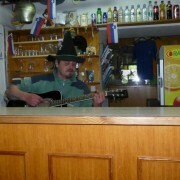 Flight to Ljubljana Airport (or Klagenfurt/Graz Airport) and further transfer to Hotel Plesnik. 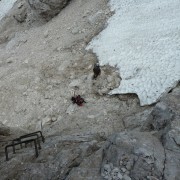 Briefing about your trip given by our mountain guide. 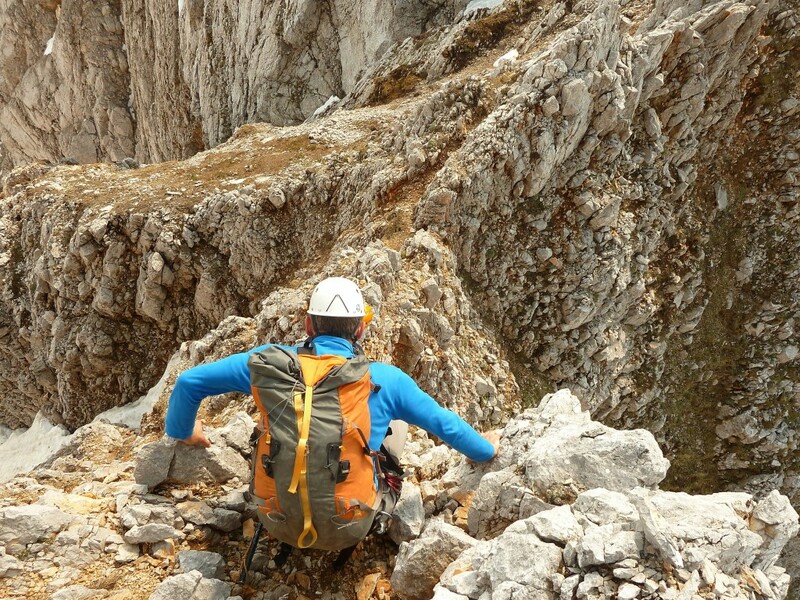 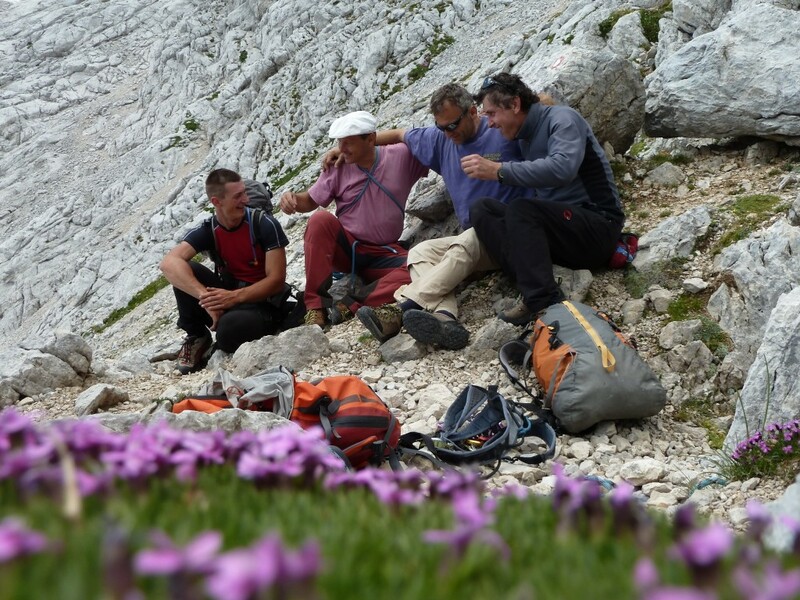 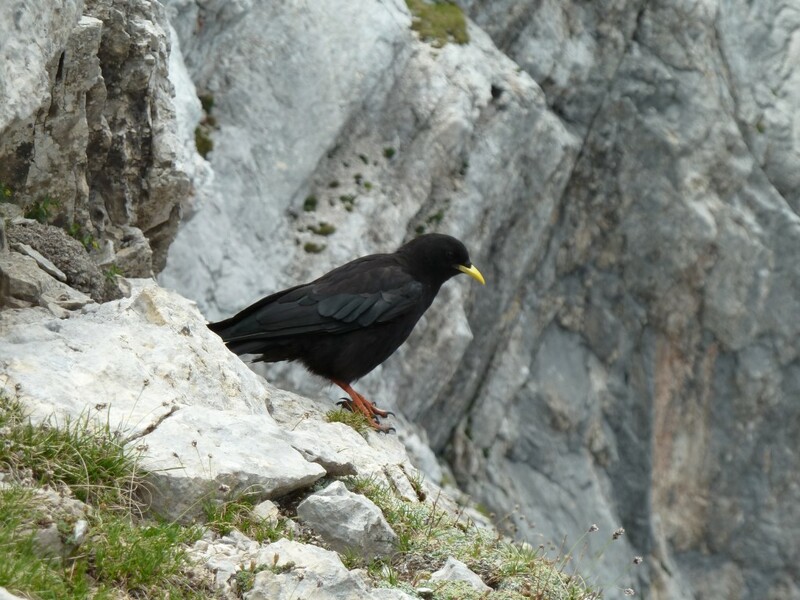 You’ll enjoy spectacular natural scenery as we make our way up the via feratta to the summit of Ojstrica, 2350 m (see Via Ferrata – Kopinškova route on Ojstrica 2,350 m). 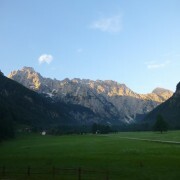 The day starts in the Logarska Dolina Valley, from where we’ll head up to the hut at Okrešelj (1 hour). 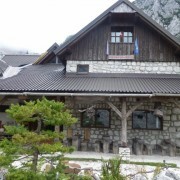 From the hut we’ll head towards the Turski žleb couloir (1 hour) and climb the via ferrata to the top of the couloir (B, passages C, 1-2 hours). 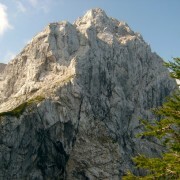 We’ll scramble to the summit of Turska gora (2251 m). 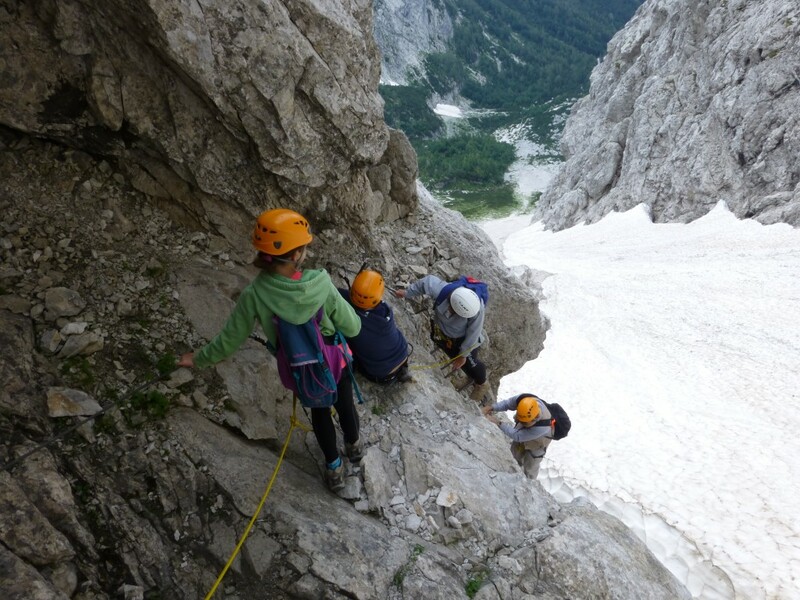 We’ll descend to the top of Turski žleb and go down the via ferrata (B,C) back to Okrešelj and Logarska dolina (2-3 hours) – see Via Ferrata Turska gora (2251 m). 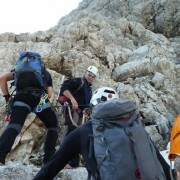 You’ll enjoy spectacular natural scenery as we climb some sport-climbing routes on the Igla crag. 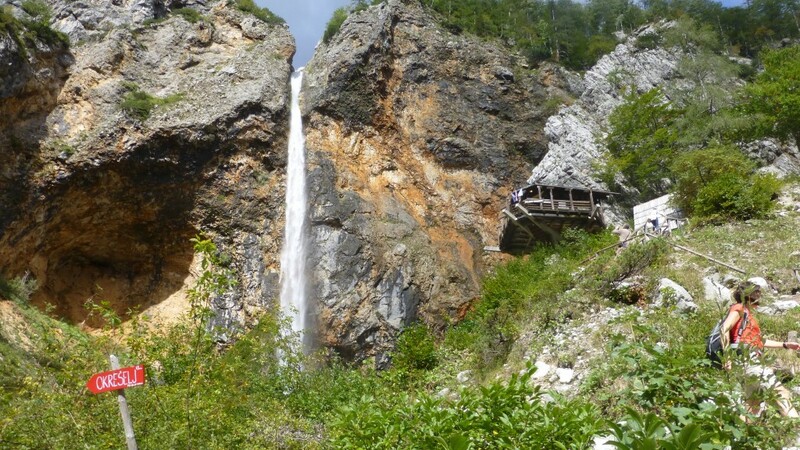 The crag is reached from the end of the road in the Igla Gorge, which is a short car drive away from Hotel Plesnik. 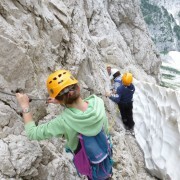 Your mountain guide will demonstrate and teach you the basic skills of rock climbing, rope management and belay techniques. 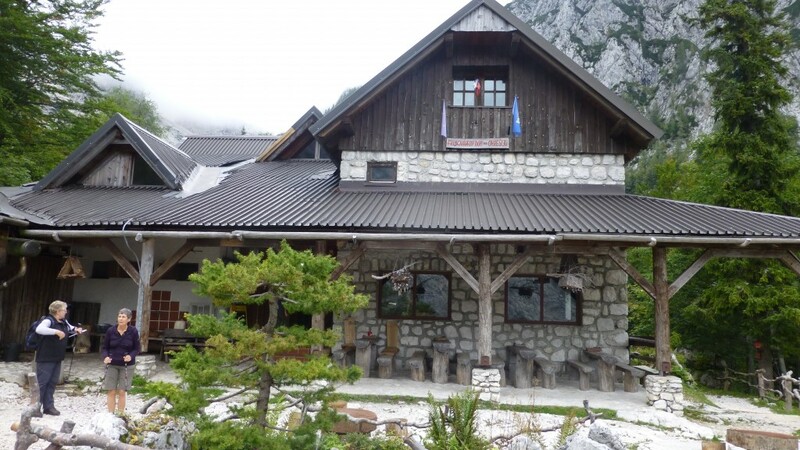 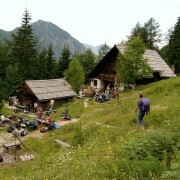 The day’s tour will start in the Logarska Dolina Valley and head up to the hut at Okrešelj (1 hour). 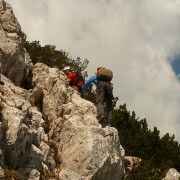 From the hut w’lle head towards Savinjsko sedlo (1.5 hour) and the start of the via ferrata on the Križ north face (B, 2 hours). 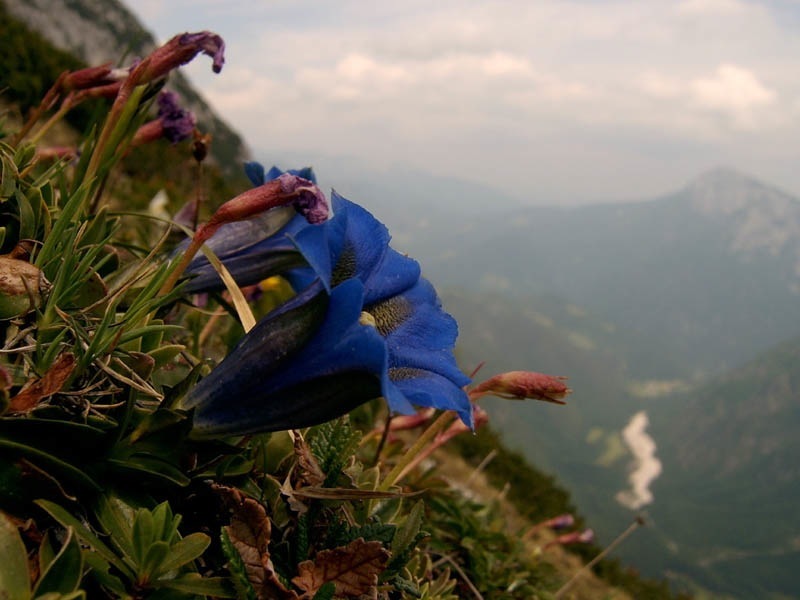 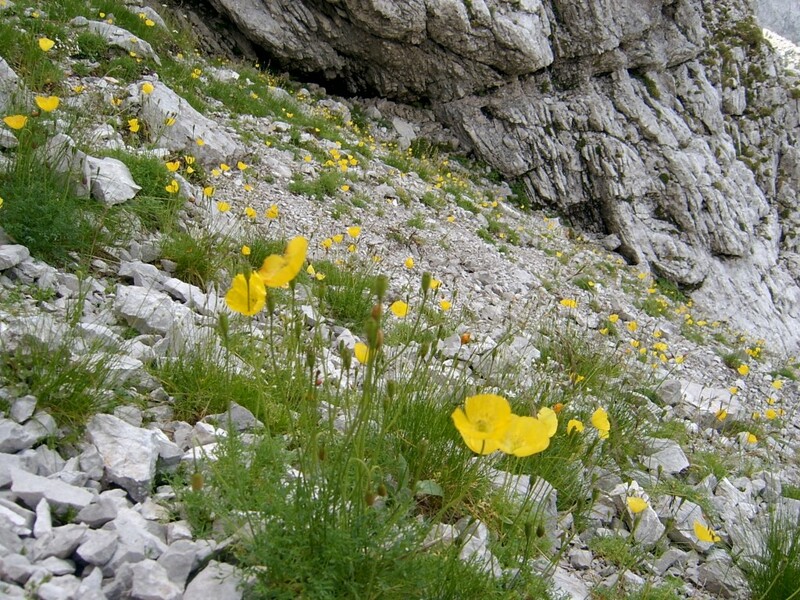 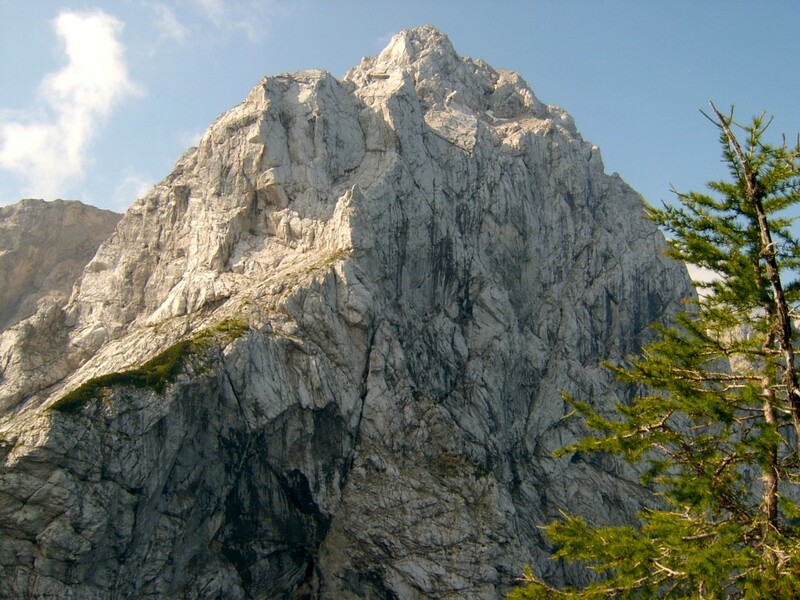 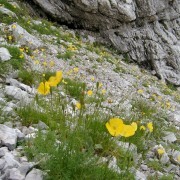 We’ll climb to the summit of Križ, which is also called Koroška Rinka (2433 m). 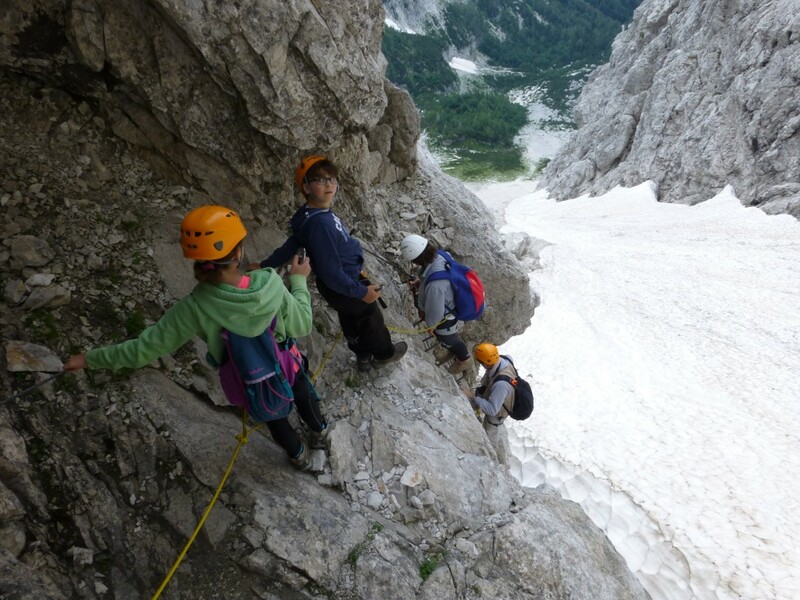 We’ll descend to the top of Turski žleb (1 hour) and go down the via ferrata (B,C) back to Okrešelj and Logarska dolina (2–3 hours). 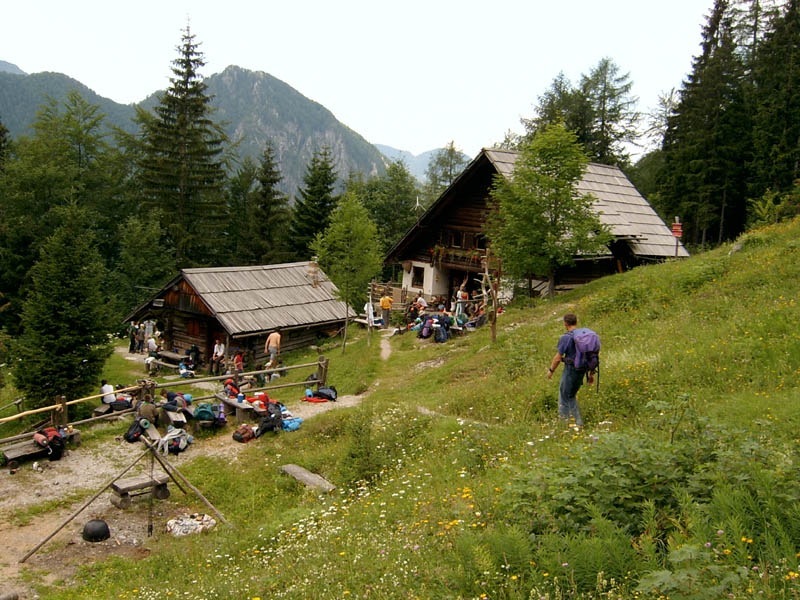 After breakfast, you’ll depart for Ljubljana Airport (or Klagenfurt/Graz Airport) and fly home. 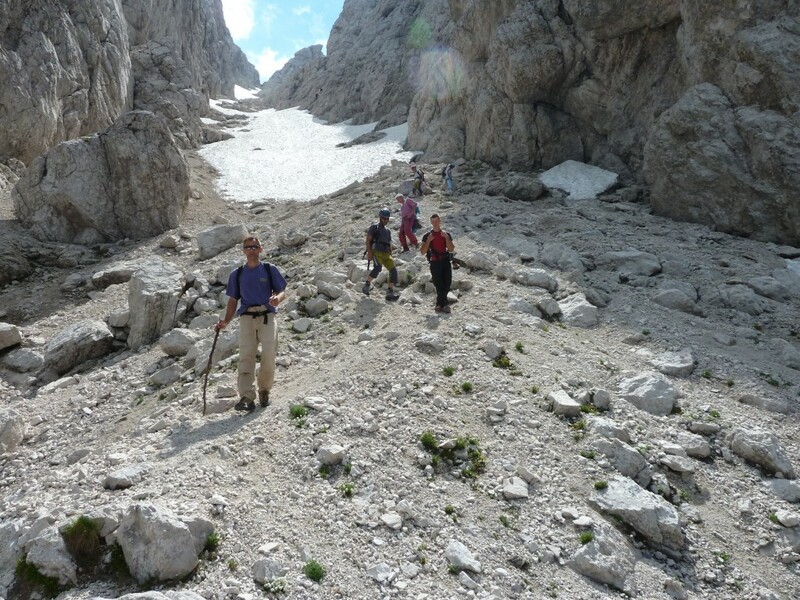 Note: Ensure you bring suitable clothes which don’t restrict movement and protect from heat or cold. 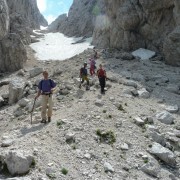 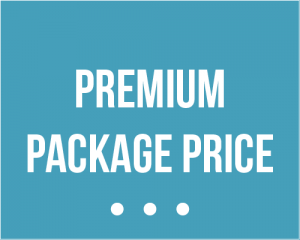 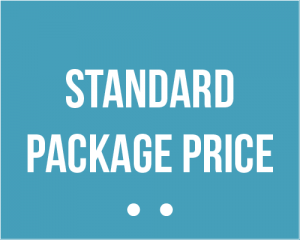 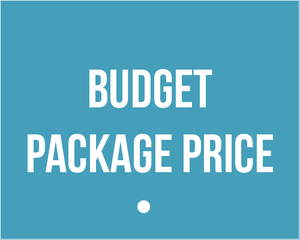 We will tailor our trip plan to the fitness level of your group. 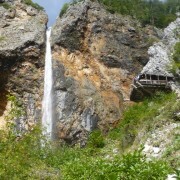 2 weeks before the agreed date, we will confirm weather conditions and how to prepare for traveling to the destination. 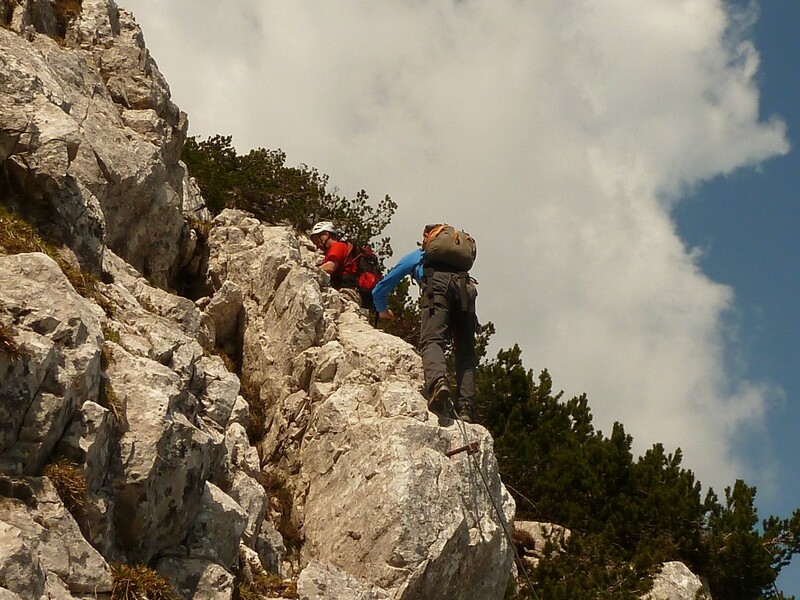 Looking for a different kind of adventure? 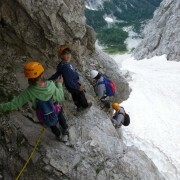 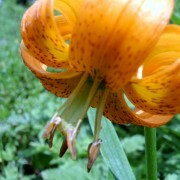 Visit our Activus Group web page where you'll find links to all of our other inspirational sites.